In ultra-precision flying cutting (UPFC), a vibration is a unique dynamic response due to periodic intermittent excitation of cutting forces, which has a significant impact on surface generation. In UPFC, cutting forces act on the machine tool system intermittently and periodically, which may cause a self-excited vibration. This self-excited vibration will cause chatter, which maybe occurs during machining operations and even catastrophically degrades surface quality and limits productivity. This study has been motivated by the fact that chatter occurrence is generally in relation to the tool wear, which has seldom been investigated comprehensively in literature. 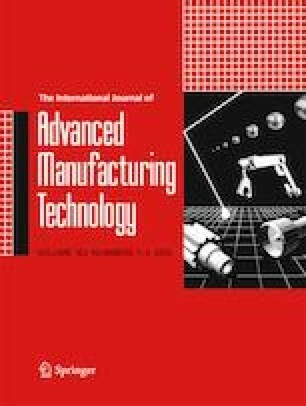 In this paper, a chatter model for UPFC that can account for the effects of tool wear and process damping was presented. A number of experiments with different machining conditions were conducted to investigate the effect of the tool wear on the chatter stability. These experiments proved that the stability lobe is closely related to tool wear and with the tool wear increase, which increases the tendency for chatter in UPFC. Finally, it was found that increasing the tool clearance angle and reducing the spindle speed can improve the stability limit. The research is supported by the National Natural Science Foundation of China under Grant Nos. 51875224, the Postdoctoral Science Foundation of China under Grant Nos. 2016M602282, and major special projects in Jiangsu Province of China under Grant Nos. BE2017002-4.